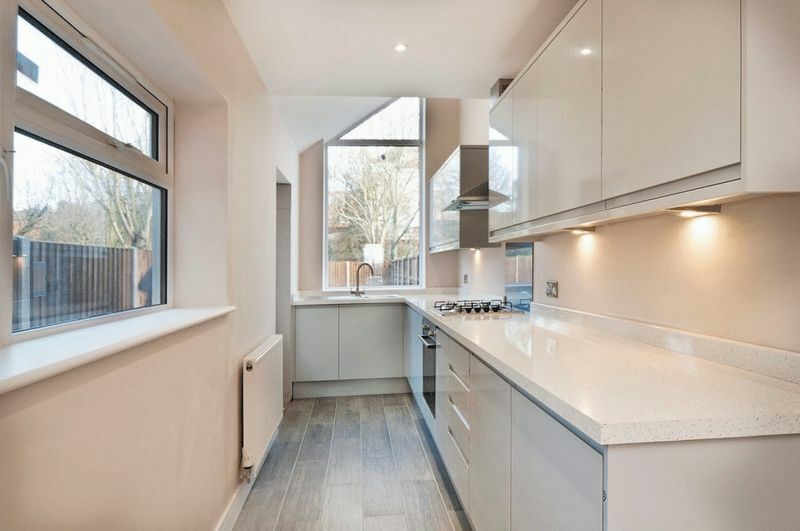 ** 85% COMPLETE DUE TO COMPLETE END OF JANUARY **Superb opportunity to purchase this professionally refurbished Victorian terrace arranged on three floors extending in all to in excess of 1,000 square feet. The quality and extent of the refurbishment is of the highest order, creating that new home feel, set within a Victorian town house. 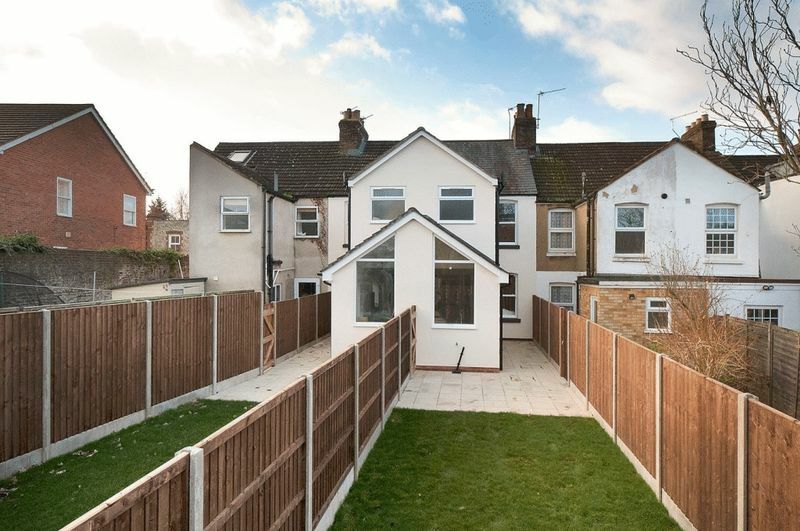 There are two living rooms, delightfully kitchen with a full range of integrated appliances, two double bedrooms sumptuously fitted bathroom with a vaulted ceiling, twin chamber cellar store room with heating and sub floor window. 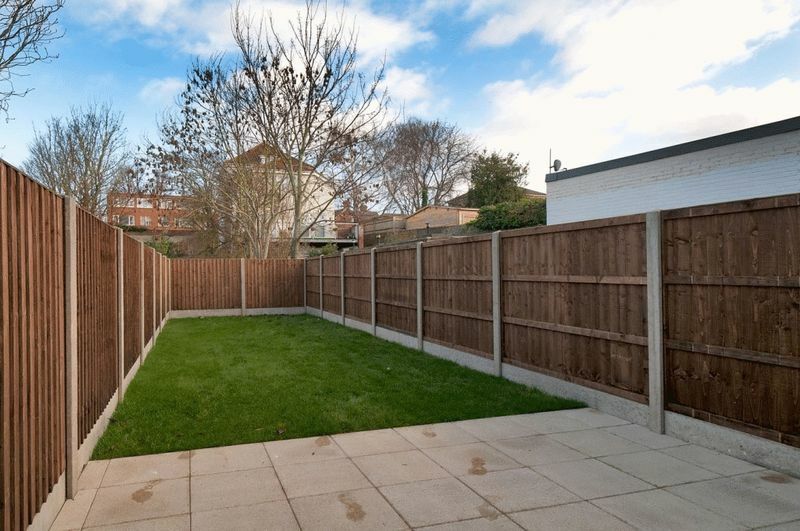 Fully fenced rear garden with patio and lawn. The works of refurbishment are ending however they include replastering, re-wiring, new central heating system, UPVC sash double glazed windows, Georgian styled panelled doors, newly fitted kitchen, bathroom, total redecoration, new flooring, carpets and tiling, stainless steel light switch and power point covers. 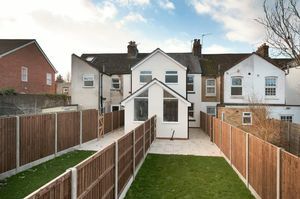 AGENTS NOTE: The property is at present 85% complete and is due to be completed by the end of January. Composite Georgian style entrance door with chrome furniture and glazed panel. Contemporary wall mounted electric fire, set in the original fireplace. 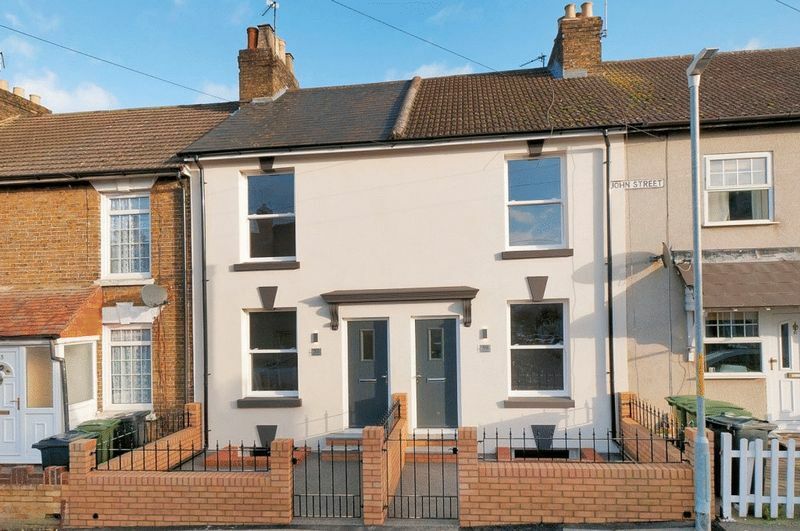 Sash window to front affording a southern aspect. New carpet. Window overlooking rear garden. Staircase to first floor. Door and staircase to lower ground floor. 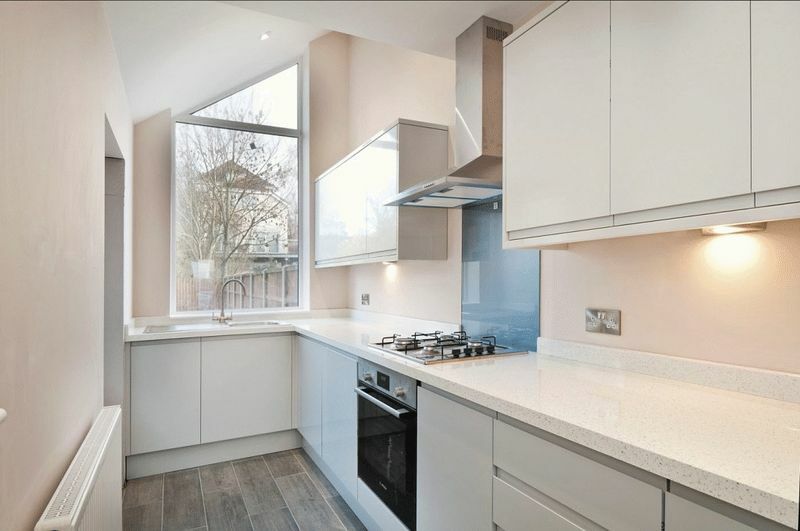 Delightfully fitted with a contemporary range of units having dove grey high gloss door and drawer fronts with complementing seamless working surfaces comprising :- Stainless steel sink unit with mixer tap, cupboards under. 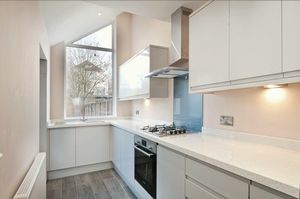 Range of high and low level cupboards incorporating a full range of integrated appliances including fridge, freezer, washing machine, four burner gas hob with electric oven and grill. Double aspect windows, featuring floor to ceiling window overlooking rear garden with a vaulted ceiling with fitted velux windows. Half-glazed UPVC door to garden. Ceramic tiled floor. 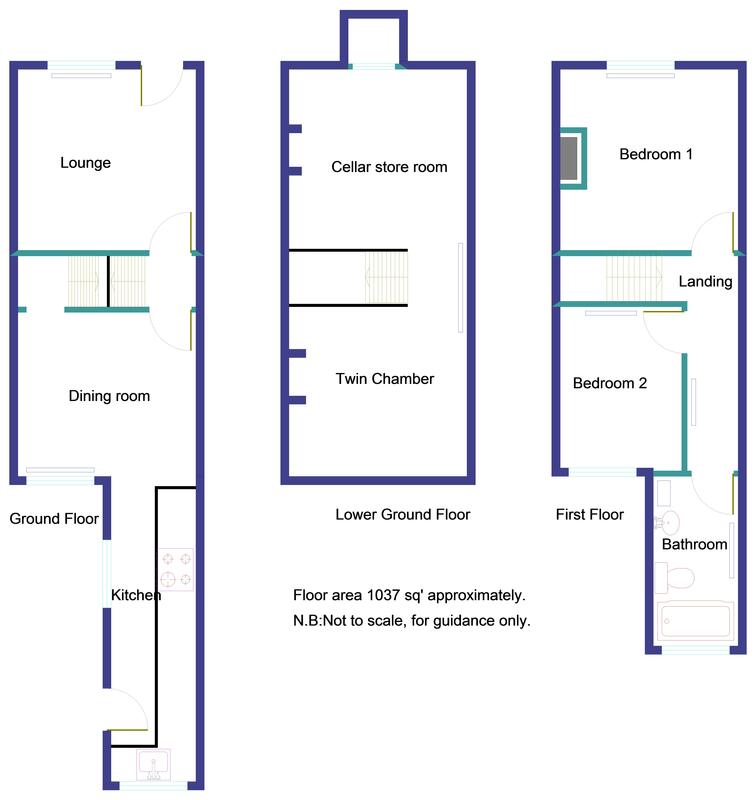 With radiator and sub floor window to front affording a southern aspect. Modern consumer unit. Service meters. Staircase with wooden handrail. Access to insulated roof space. Radiator. Sash window to front affording a southern aspect and distant views. Fitted carpet. Radiator. Sash window to rear. Radiator. Carpet. Sumptuously fitted with a white contemporary suite with chromium plated fittings comprising :- Panelled bath, mixer tap and shower, glass shower screen. Rain forest shower head. Wash hand basin. Low level W.C. Chromium plated heated towel rail. Recessed spot lighting. 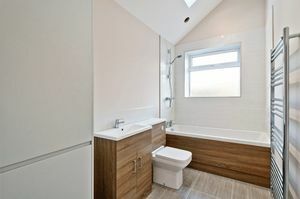 Delightful vaulted ceiling with two velux windows bathing the room in light. Wall mounted Ideal gas fired combination boiler supplying central heating and domestic hot water throughout. TO THE FRONT of the property, brick boundary fencing with pebbles, set in resin creating a delightful finish. THE REAR GARDEN : Extends to approximately 30ft and is fully fenced, extensive lawn and paved patio area adjacent to house. Rear pedestrian access.